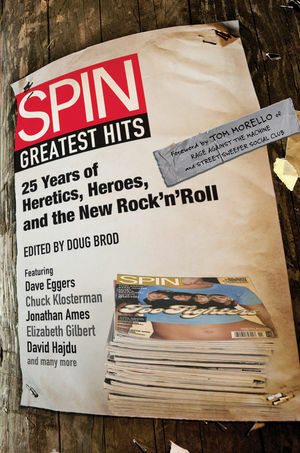 Spin recently released an anthology of highlights from the magazine’s 25 year history. The collection includes stories by, among others, Dave Eggers, Chuck Klosterman, Jonathan Ames, Elizabeth Gilbert, Richard Meltzer and, um, me. My 2006 story War Is Loud is in there and features a new introduction. If you order the book from Amazon, they will include a brown cardboard box with the Amazon logo at no extra charge.